Schools should teach a language to pupils from age five to 18 to reverse a “disastrous” decline in language skills, say MPs and peers. It follows a BBC investigation showing falls of between 30 and 50% since 2013 in the numbers taking language GCSEs in some areas of England. Head teachers warned the aim might not be realistic because of teacher shortages and funding pressures. Ministers said the picture in England had improved slightly since 2010. This improvement in the overall proportion taking a language GCSE, thanks largely to Spanish and Mandarin, hides a collapse in numbers studying German and French. Between 2010 and 2018 in England, the numbers of German GCSEs fell from 57,806 to 39,941 and at A-level from 5,055 to 2,785, according to the Department for Education. The all-party parliamentary group on modern languages called for cross-government action in a recovery plan published on Monday. The report pointed towards a declining proportion of online content in English, and said that according to the British Council, 75% of the world’s population does not speak English. The group is calling for a range of new qualifications, amid concerns that it is seen as harder to get a good grade in GCSEs than other subjects. “One of myths we need to bust is [that] languages are just for the top set,” said Baroness Coussins, pointing out that in a number of other countries the expectation is that everyone can learn another language. But Geoff Barton, from the Association of School and College Leaders, said that while head teachers supported the ambition to encourage language learning, it was important to be realistic. He said given funding constraints and the difficulty in recruiting specialist teachers, “it is hard to see how schools could fulfil an objective to ensure all young people learn a language from ages five to 18”. The plan also suggests tax breaks for smaller businesses as part of promoting life-long learning of languages. That call was backed by Dr Adam Marshall, director general of the British Chambers of Commerce. The German Ambassador to the UK, Peter Wittig, expressed his dismay in a tweet following the BBC’s report last week. In response to the parliamentary recovery plan Mr Wittig told the BBC that the decline in Britons learning German was “deeply worrying”. He added: “Speaking languages and engaging with other cultures are the currency of the 21st century. 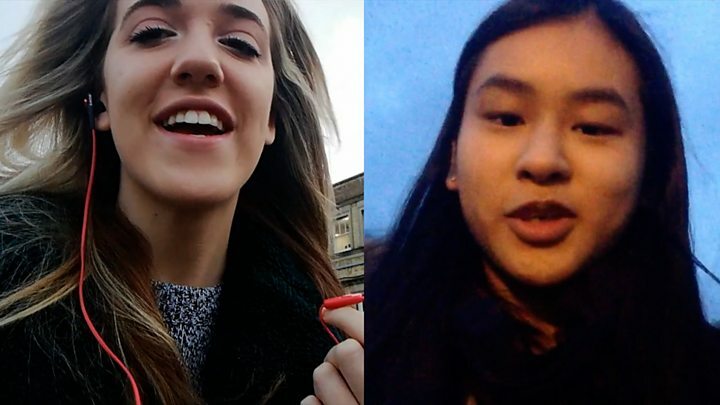 The German ambassador said not only did learning a language open doors in fields from finance to engineering, but it “encourages friendship, trust and understanding across borders”. Last week, the Minister for Schools Standards in England, Nick Gibb, said that since 2010, the proportion of children taking a language at GCSE had risen from 40% to 46% in 2018. 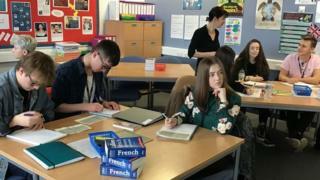 He said the government was “determined to see this rise further”, and was taking a range of measures to tackle this – such as creating a new network of schools that excel in the teaching of languages to share their expertise and best practice with others.